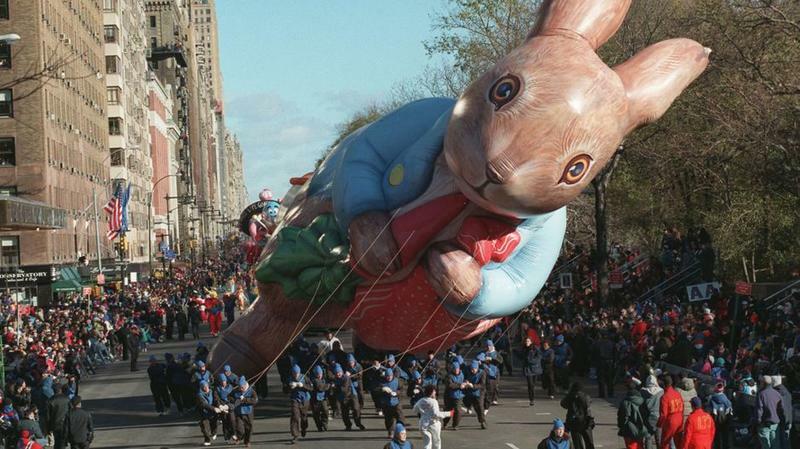 The holiday season officially kicks off in New York City with the annual Macy’s Thanksgiving Day Parade. This event is the world’s largest parade and the second oldest one in the United States. The parade, which started in 1924, attracts more than 3.5 million spectators who line Central Park West to Herald Square to watch the parade march by. 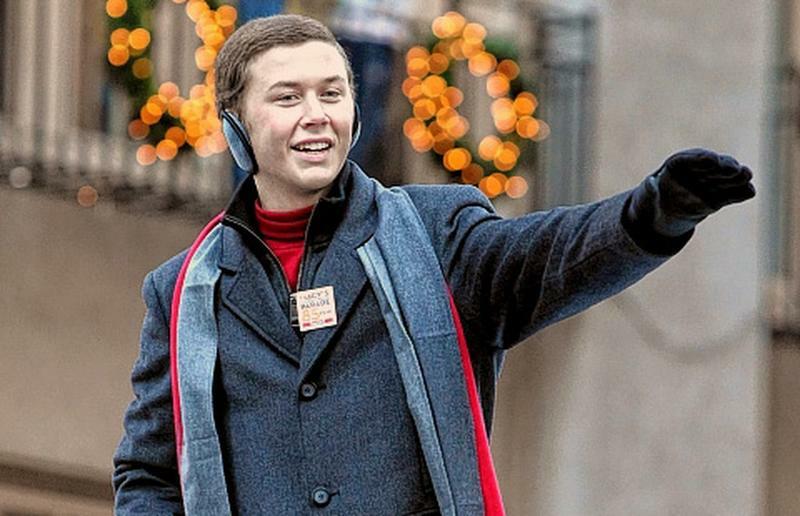 A staggering 23 million viewers watch the parade on TV every Thanksgiving morning. 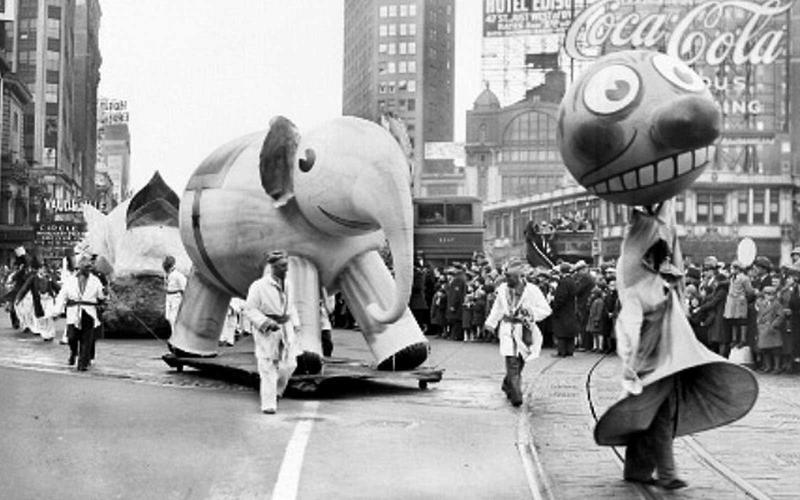 Let’s take a look at the Macy’s Thanksgiving Day Parade through the years. 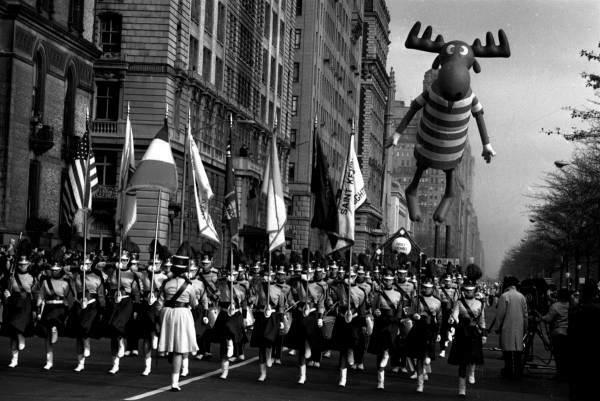 The very first Macy’s Thanksgiving Day Parade was, of course, much smaller than the grand production that it is today. For that first event, employees at Macy’s flagship store, located on 34th Street, wore brightly-colored costumes to walk the parade route. 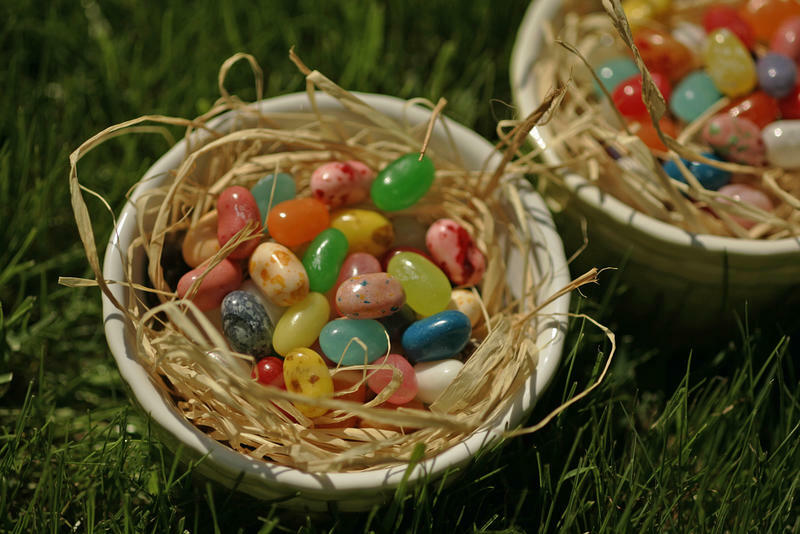 Additionally, there were floats, marching bands and some live animals that were borrowed from the Central Park Zoo. The goal of the parade was to welcome Santa Claus to Macy’s. Santa was given a place of honor on a throne on the store’s balcony for all the children to see him. 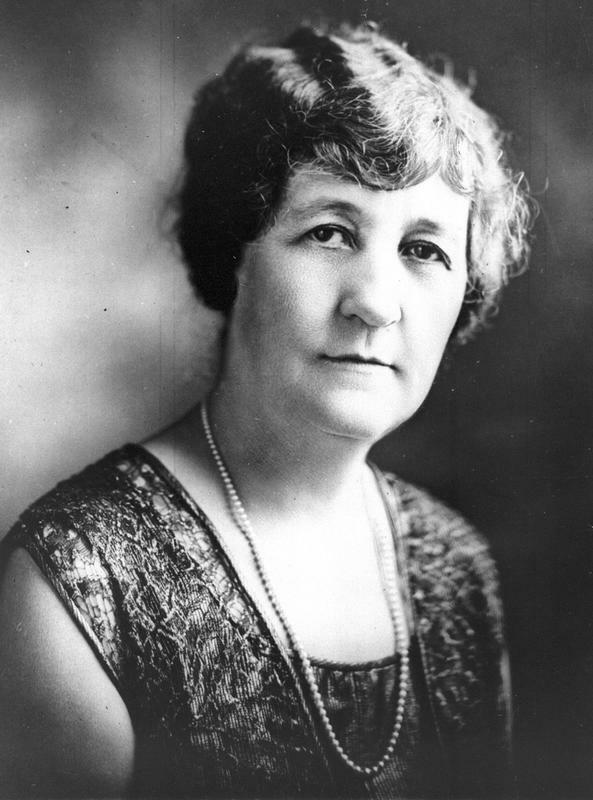 The first parade was so well-received that Macy’s announced that it would be an annual event. Tony Sarg, a puppeteer who worked with marionettes, was commissioned by Macy’s to create balloon puppets. Sarg took the idea to new heights. He created, with the help of the Goodyear Tire and Rubber Company, a collection of giant, animal-shaped balloons. While these balloons were huge, they didn’t compare to the massive character balloons that are a hallmark of today’s Macy’s Thanksgiving Day Parade. 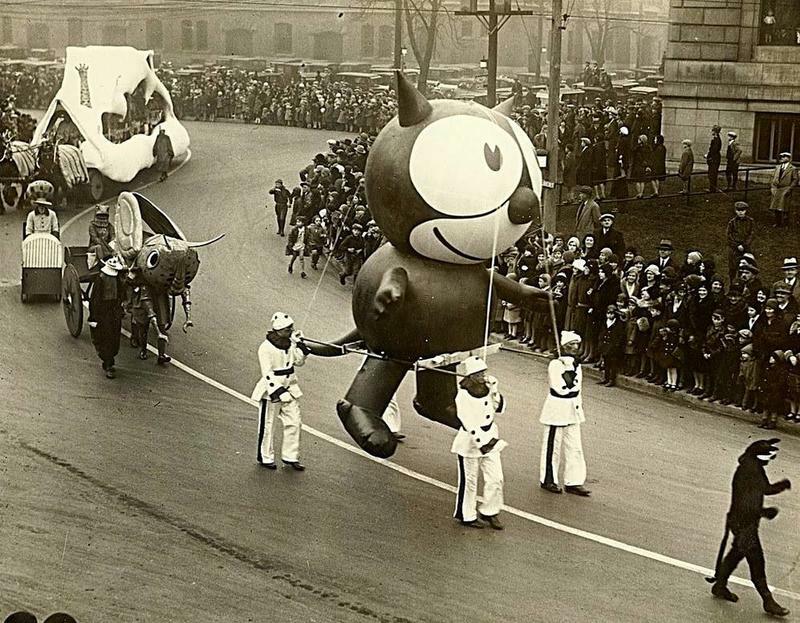 For the parade’s biggest attraction, the Goodyear Company helped to produce an over-sized character balloon of the beloved cartoon character, Felix the Cat. 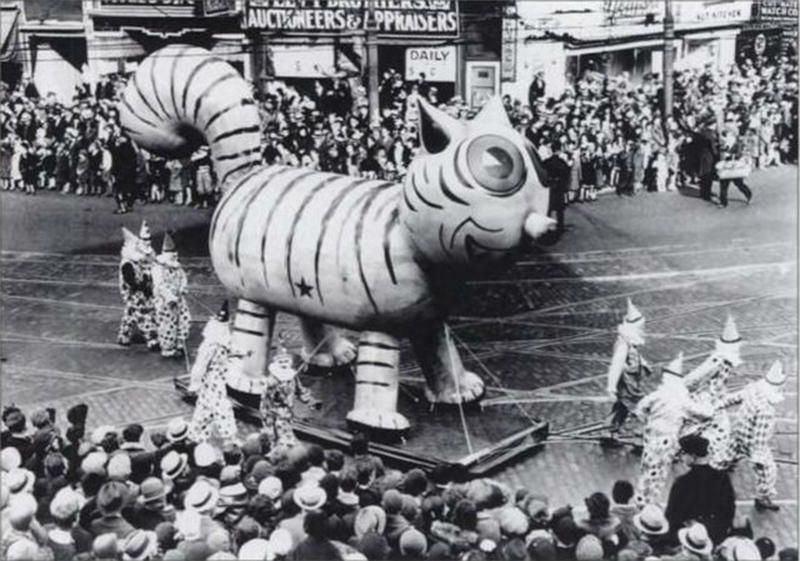 Felix made his debut in the parade in 1931. 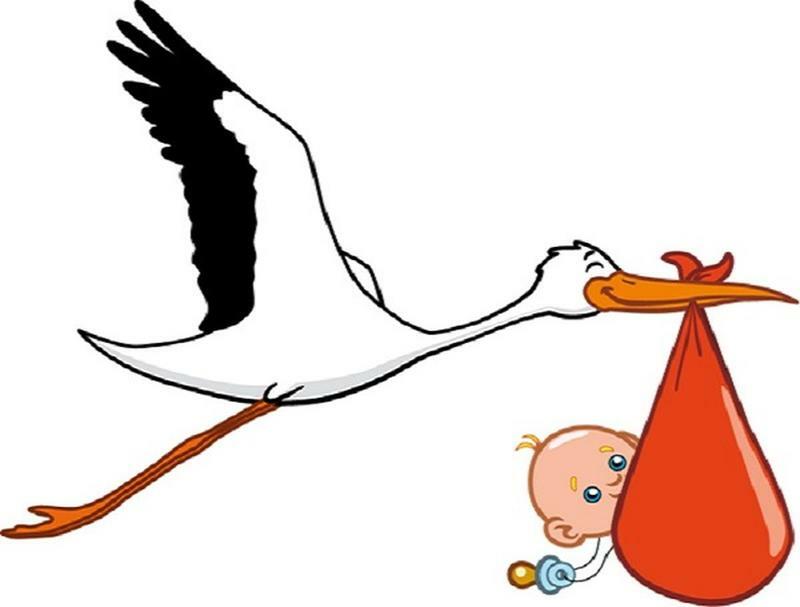 He was followed by Mickey Mouse the following year and more and more characters after that, including Snoopy, Clifford the Big Red Dog, Buzz Lightyear, Kermit the Frog, Betty Boop, Pinocchio and Woody Woodpecker, just to name a few. 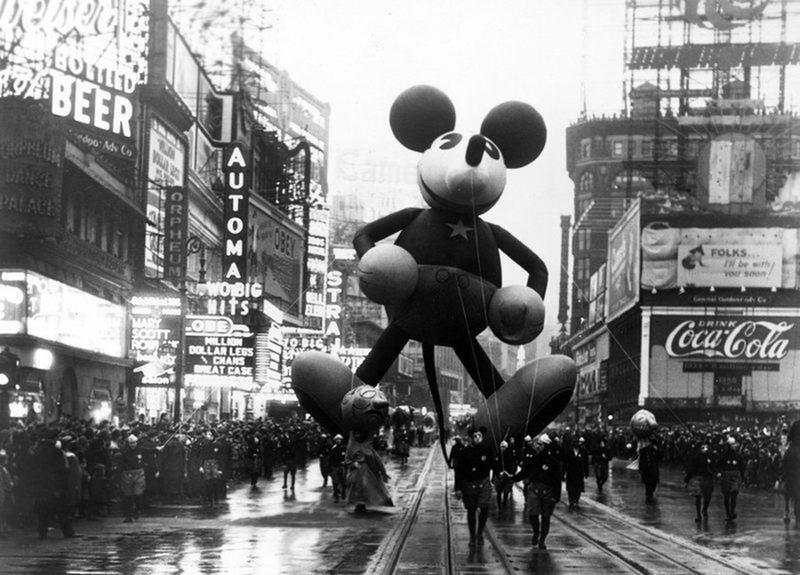 From 1942 to 1944, Macy’s suspended the annual parade. Part of the reason was that rubber and helium, needed for the popular parade balloons, were in short supply. All available resources needed to go to the war effort. After the war ended, Macy’s resumed hosting their annual Thanksgiving Day Parade, to the delight of the people of New York City and the rest of the country. At first, the giant balloons were not deflated and stored after the parade was over. Instead, the tethers were cut and the balloons were sent sailing into the sky. Macy’s ended this practice in 1932 when a freed balloon almost caused a plane crash. But it was not the fault of the balloon. A student pilot was at the control of her plane with her flight instructor when a giant, inflatable tom cat came drifting by. The 22-year-old student pilot, for reasons unknown, decided to ram the balloon with her airplane. The deflating balloon wrapped around the airplane wing and sent the aircraft hurling towards the ground. Thankfully, the flight instructor seized control of the plane and safely landed it. 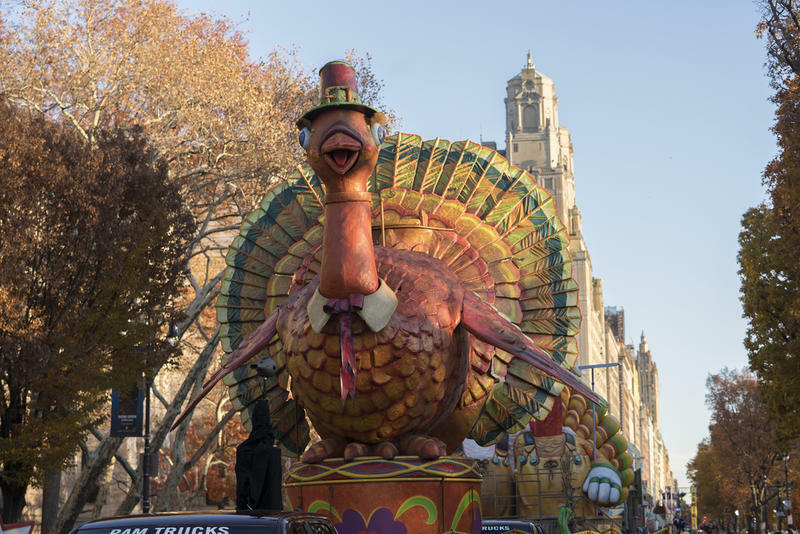 For nearly forty years, the Macy’s Thanksgiving Day Parade has partnered with new Broadway shows, ones that debut that year, to add another layer of entertainment. The cast members of these new shows have an opportunity to present a musical number from their show during the parade. Among the hit Broadway shows that have participated in the Macy’s Thanksgiving Day Parade have been Cats, Brigadoon, Legally Blonde, Grease, The Who’s Tommy, Rent and Shrek the Musical, among many others. The Radio City Rockettes, a precision dance troupe, has been a staple of the Macy’s Thanksgiving Day Parade since 1957. 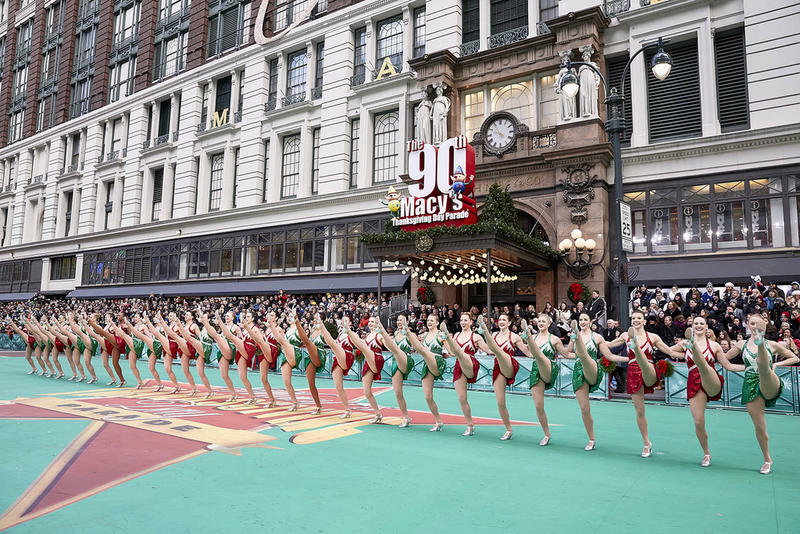 The Rockettes are known for their high-kicking, totally in sync, dance routines and the classic performers hold a special spot in the parade line-up. After their performance is the arrival of Santa Claus. 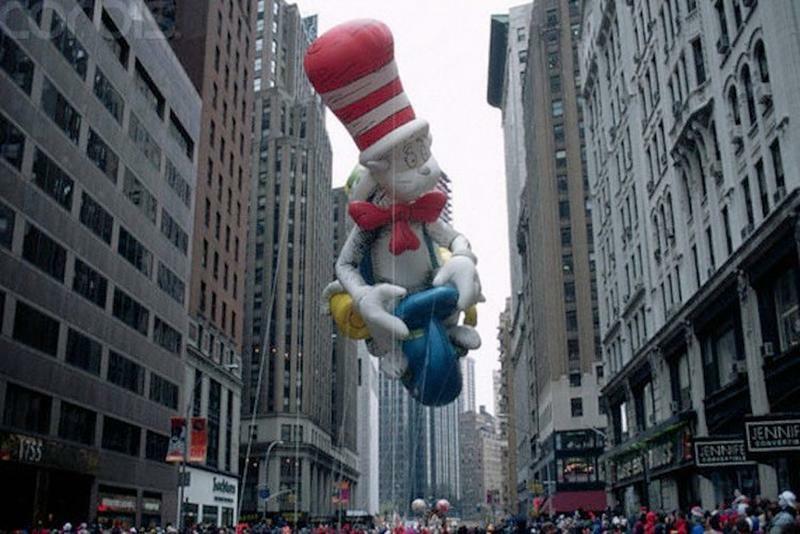 In 1997 a woman was severely injured during the Macy’s Thanksgiving Day Parade when the giant Cat in the Hat balloon struck a light pole and sent it toppling on the woman. 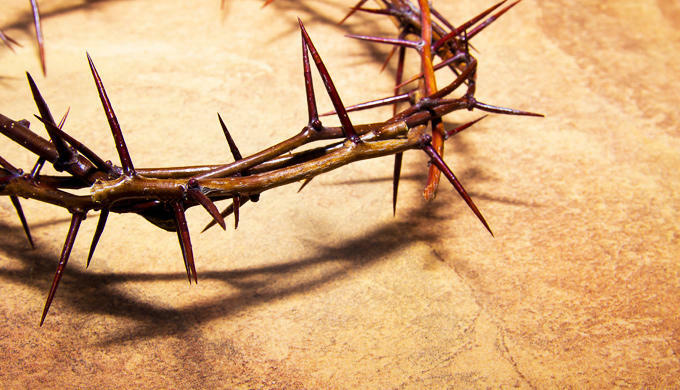 She spent the next 24 days in a coma and months more recuperating from her injuries. 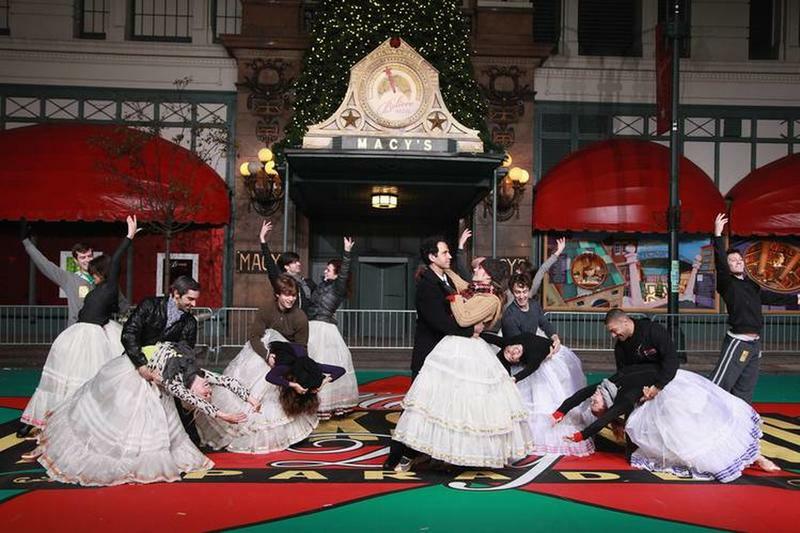 Macy’s invites many of the top singers of the year to entertain from atop floats during the Thanksgiving Day Parade. The logistics of singing on a moving float that is outdoors in front of millions of people is so challenging that the singers just lip-sync to prerecorded music that is blasted over speakers. Everyone knows this, but the singers like to pretend we don’t. Every year, however, there is a lip-syncing flub that catches the singer in the act. Most notable was in 2011 when country artist Scottie McCreery, fresh of his American Idol win, botched his cue during his parade appearance. November weather in New York is unpredictable. Some years, the participants in the Macy’s Thanksgiving Day Parade, as well as the spectators, brave frigid temperatures, while other years are balmy and mild. In 1971, the wind was a factor. Gusts of up to 40 miles per hour and pouring rain forced parade officials to ground all of the balloons. The people who watched the parade live had a whole different experience than the ones who watched it on TV. For the televised parade, NBC simply aired excerpts of the parade balloons from the 1970 parade.